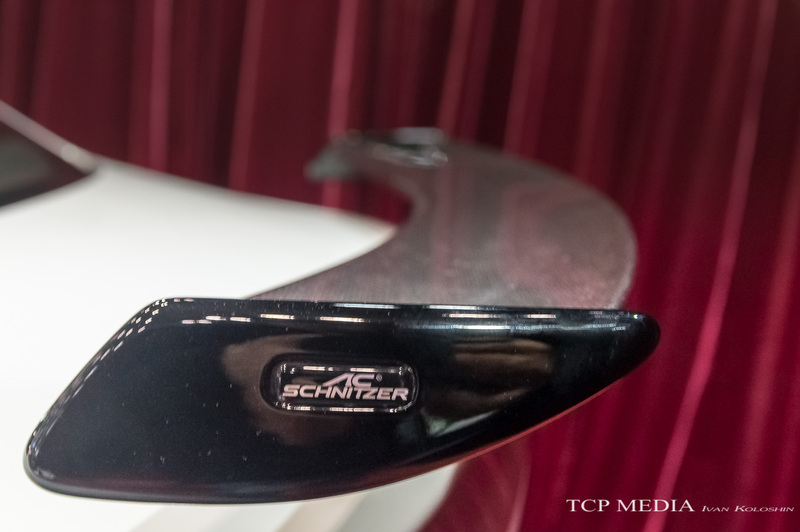 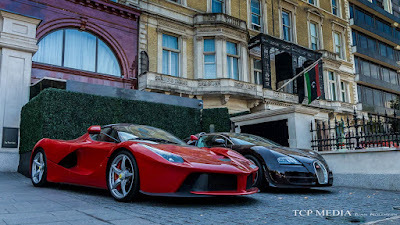 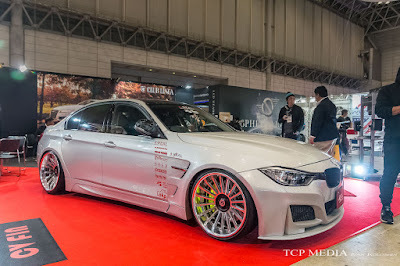 and in this entry we will check out some of the BMW's that caught my attention at the event. 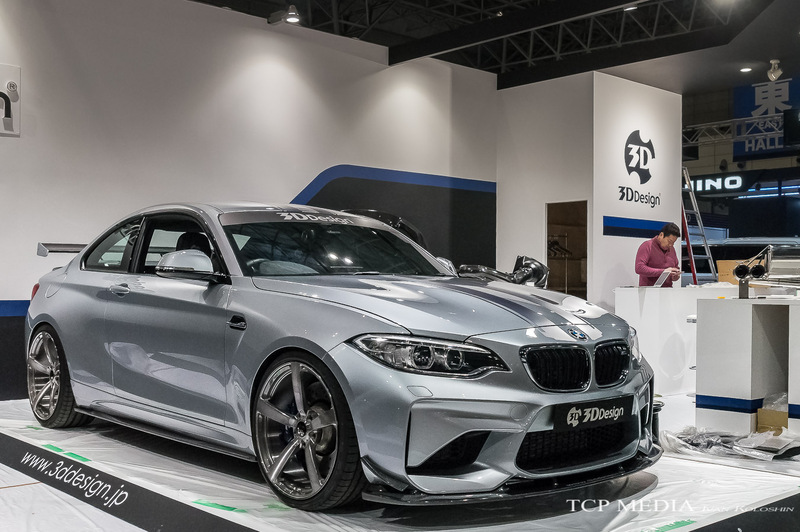 but strangely enough, unlike TAS 2016 or earlier, there was no BMW or Alpina display space, even though as we have seen a massive BMW booth at SEMA, where there was plenty of things to check out from M Performance division. 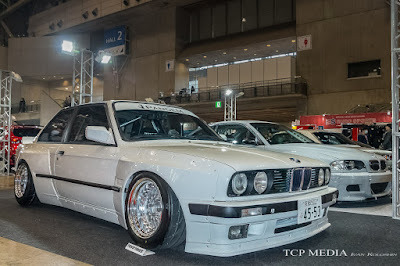 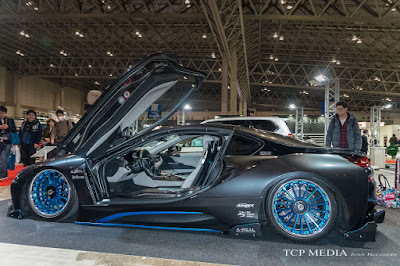 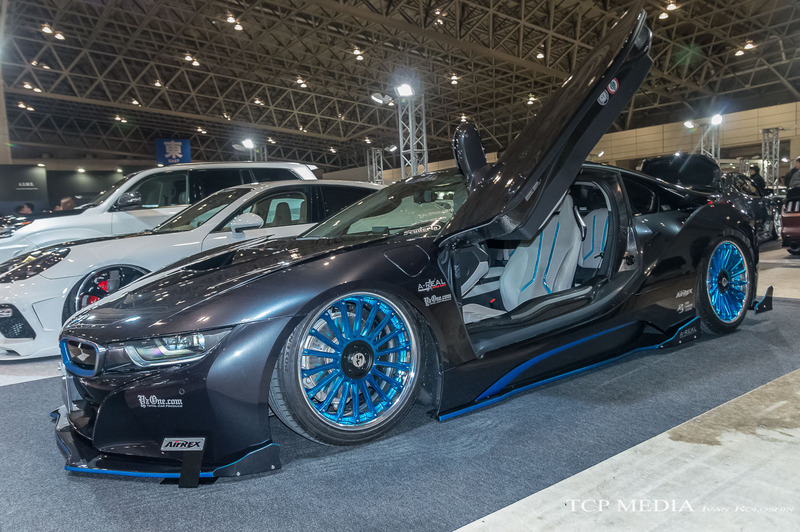 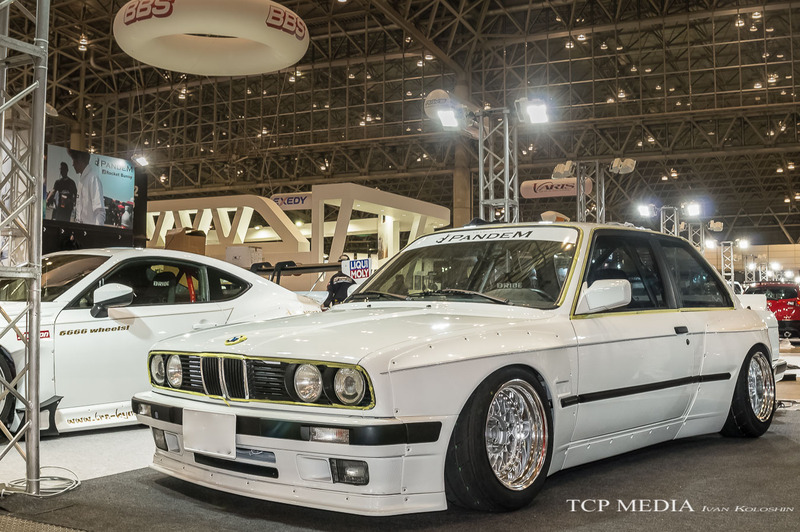 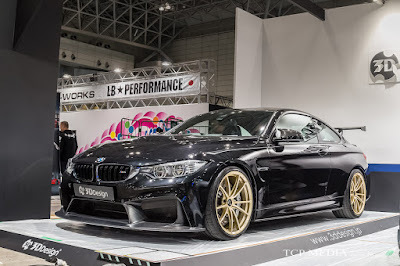 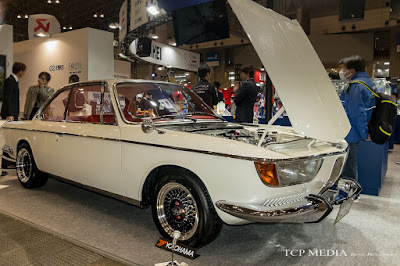 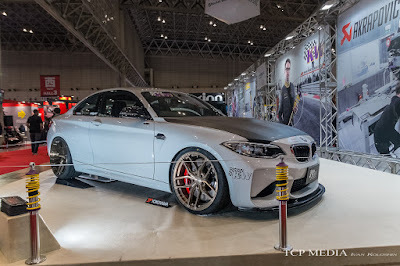 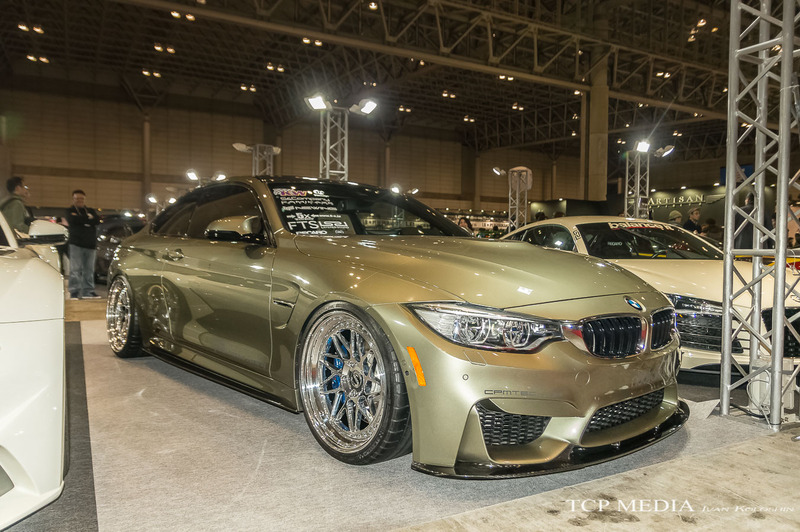 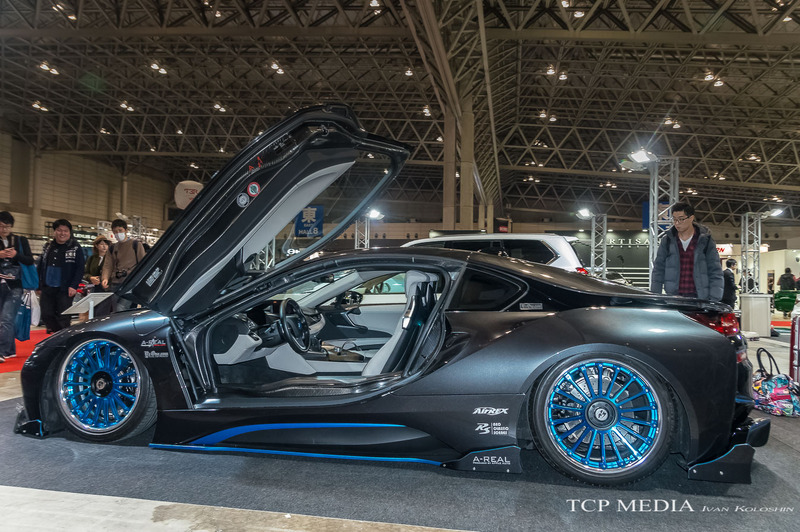 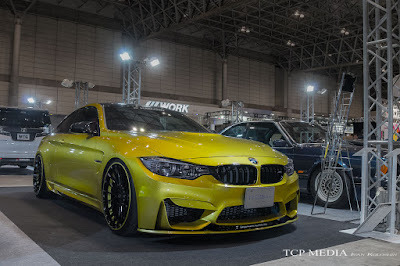 But to say that Tokyo Auto Salon did not have much to offer for BMW fans would be to tell a lie as various shops and world renowned tuners had something up their sleeves. Such was the BMW Z4 from Kerberos sporting a full carbon wide body kit. 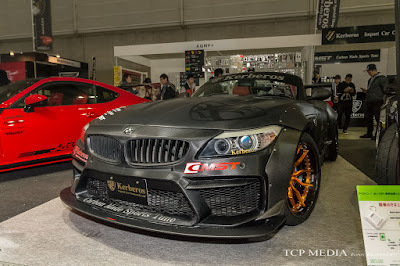 This is another GT300 look-alike but having carbon weaves being displayed gives the car an incredibly aggressive look, while ultra deep concave wheels give the car an uncompromising stance. 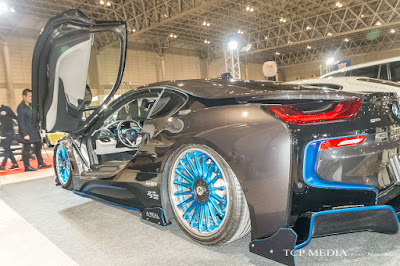 With original A-REAL Body kit and Crimson 20 inch wheels the i8 has transformed its look from an ordinary machine for rich and famous to a vision of what custom cars of the future would look like. 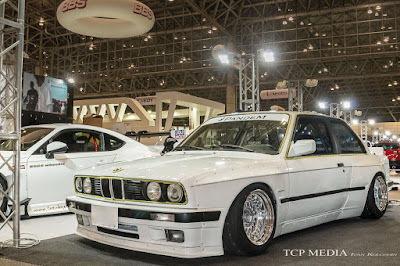 But future cars can never define us as car guys as much as the classics do. 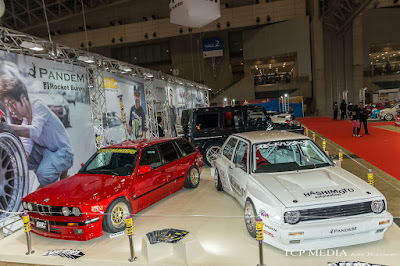 And there were plenty of Classic Bimmers on display with various mods and tweaks. 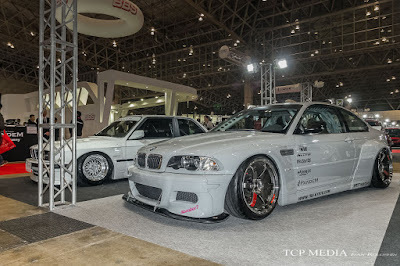 This time Kei Miura applied his masterful skills to carve aggressive looking fenders for E46 M3. 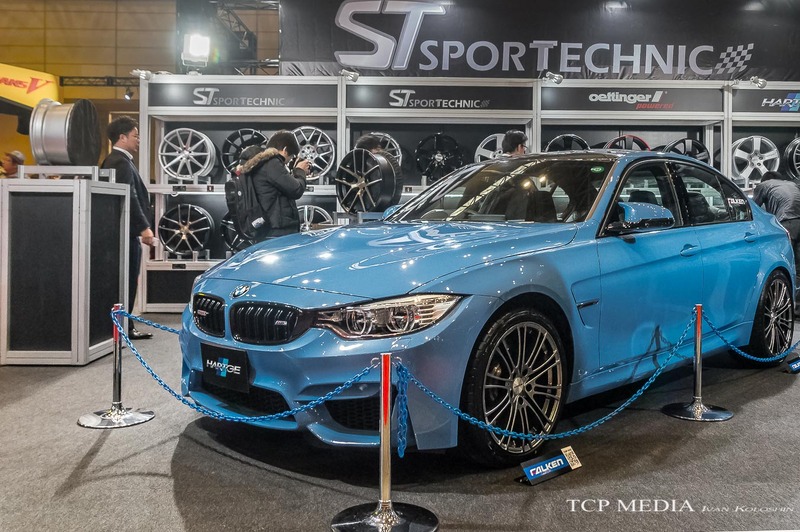 The beautiful kit blends perfectly with the lines of M3, while the deep concave TE37 Ultra's, along with adjustable front spoiler give the car an uncompromising racecar-like look. Interestingly, old school Bimmers weren't the only ones treated with wide body conversion, and no, we aren't talking Liberty Walk here. 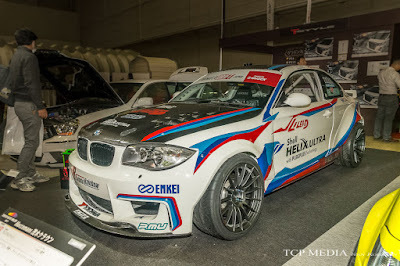 The kit was put on in a bit of a hurry, and strangely enough it was not even installed on an M car. But whatever it is, the result is astonishingly good looking. It retains the perfectly designed shape of the BMW while adds a lot attitude and sportiness to the the sedan. 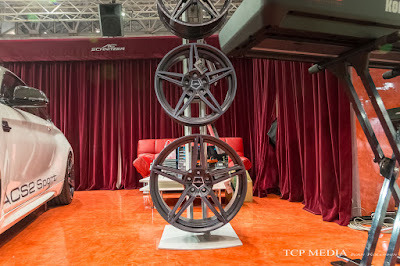 CPM presented another brand of rims: Neutrale Wheels and their model: S9D. 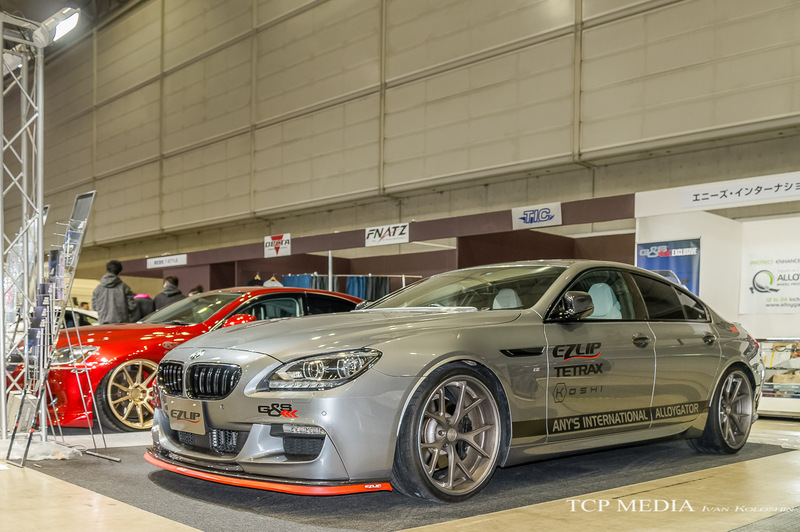 The chrome accent suits the car very well, especially with all the bits from 3D Design that complement the ECU remap that upgraded engine's power to 520 HP! 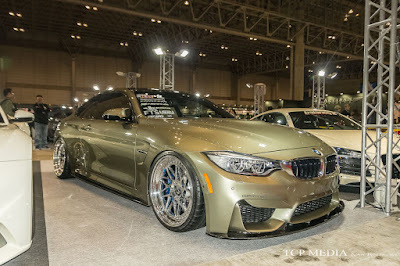 This gorgeous M4 has been treated with a nominal width Hamann kit and wheels. 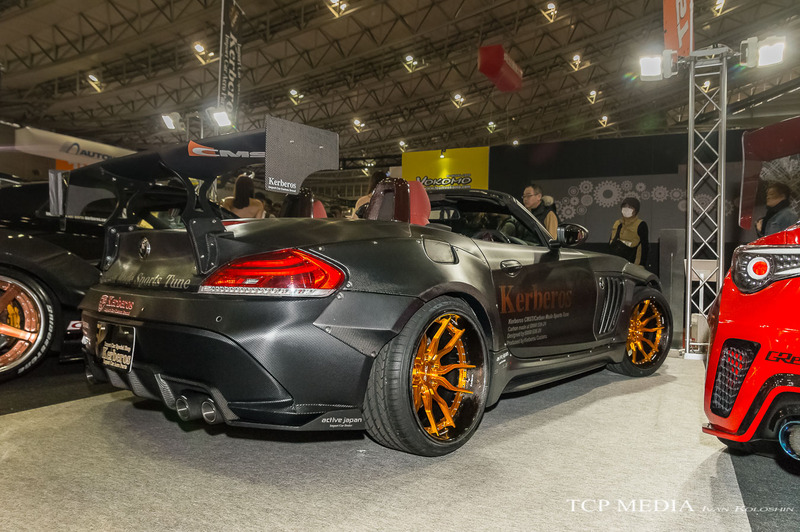 The car features an ECU upgrade and is lowered on KW ver 3 adjustable kit. 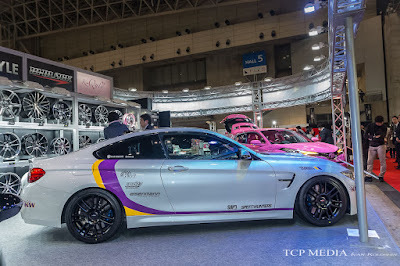 Since we started talking about K&W, their M4 was back with new livery. So was the M4 from 3D Design. But perhaps the cream of the crop from 3D Design was the F87 M2 with a full array of upgrades from the famous Japanese tuner. 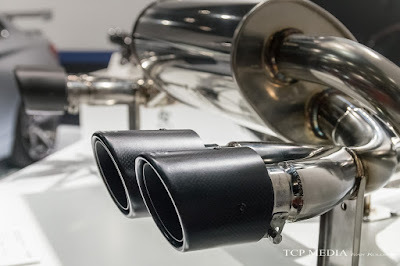 The new high flow Axle Back exhaust is definitely the highlight as it promises up to 10HP power upgrade and more pronounced deeper exhaust note. 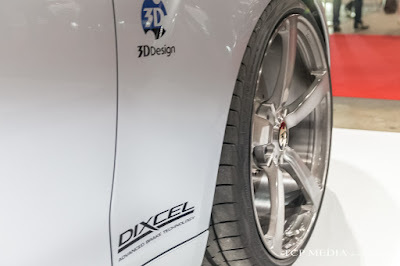 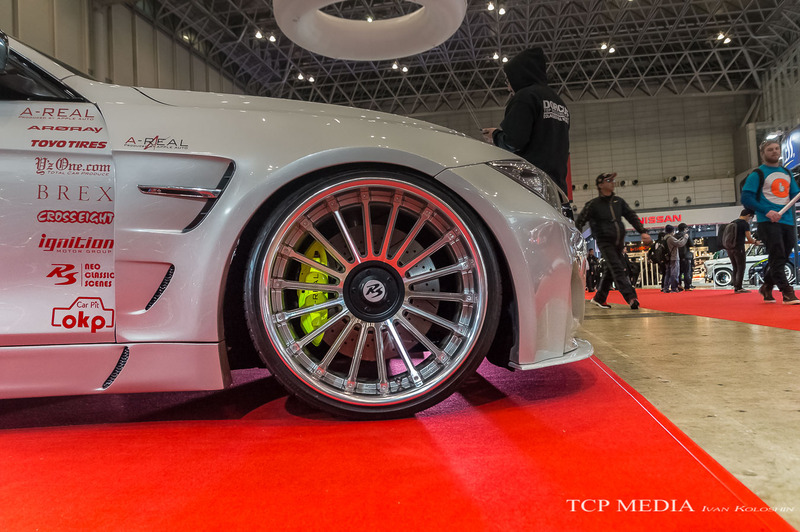 The concave design 5 spoke Type 3 Forged wheels measuring 20-9J front and 20-10J rear enhance the look of the car by more aggressive fitment, and of course suspension has been dropped by 3cm by means of 3D Design adjustable suspension kit. 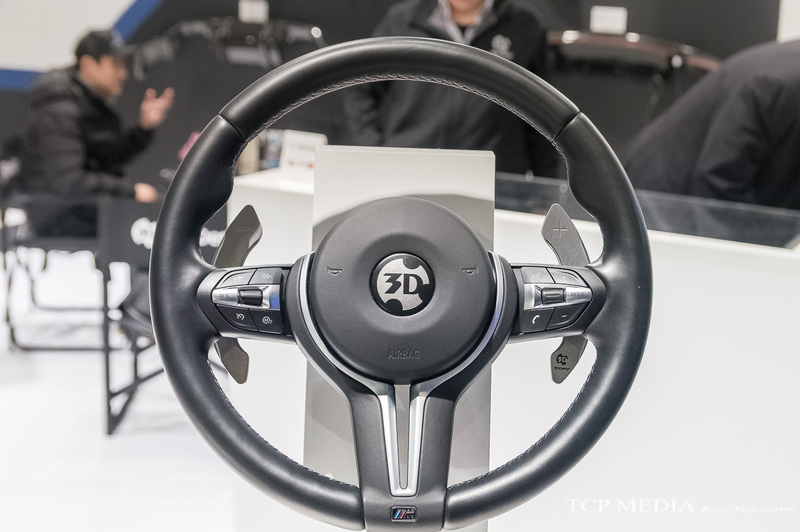 Event the interior got an upgrade with the reduced diameter leather steering wheel with 3D design logo in the middle. 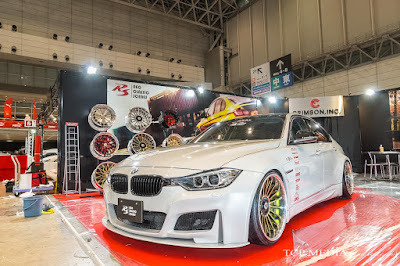 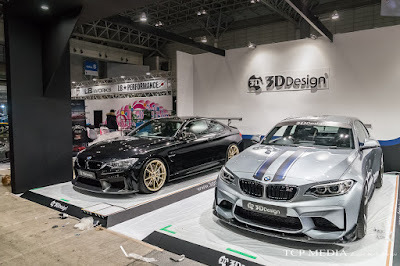 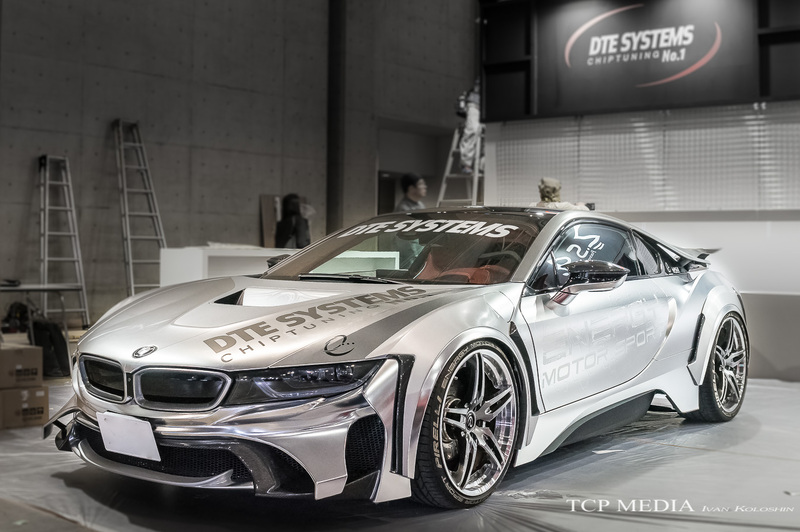 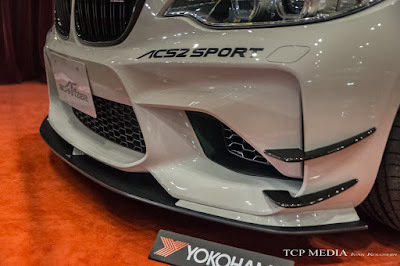 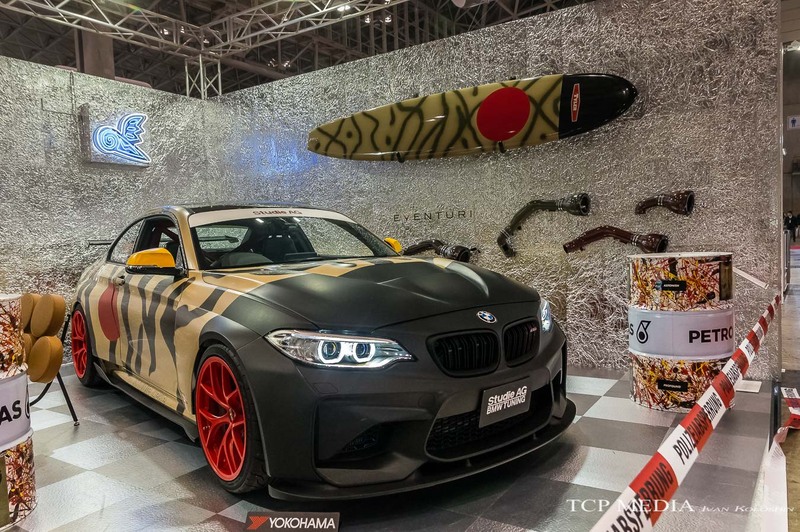 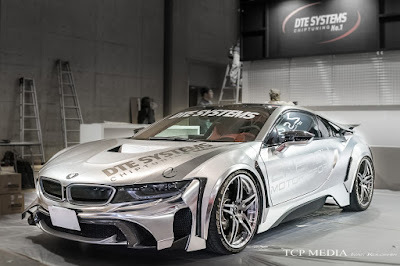 Stuide AG - a very successful BMW aftermarket shop and racing team house had very noticeable presence at this year's Tokyo Auto Salon co-hosting the booth alongside with Germany's AC Schnitzer. The 2 demo cars, starting with the this tuned M2 sporting array of 3D Design upgrades, as well as Arma intake, Studie ECU reflash, and Akrapovich exhaust, definitely set the right tone to show off some of the potential of BMW's most compact M car. 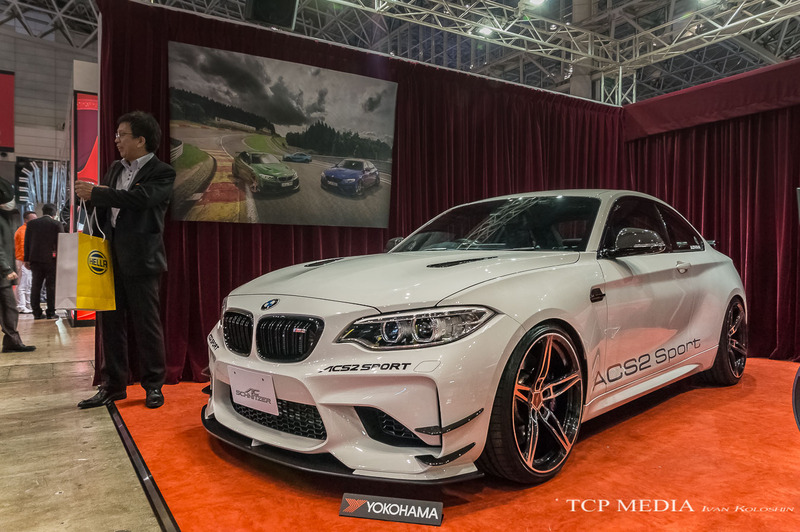 The second F87 M2 was built with exclusively AC Schnitzer parts and was displayed in Alpine white with carbon front lip and canards, as well as original exhaust and 20 inch wheels measuring 9J front and 10J back. The front fascia is beautifully engineered by combining a very subtle lip and proportionally perfect canards combining for a sporty, yet quite sophisticated look. while the super-light forged wheels can be ordered in any trim or color. 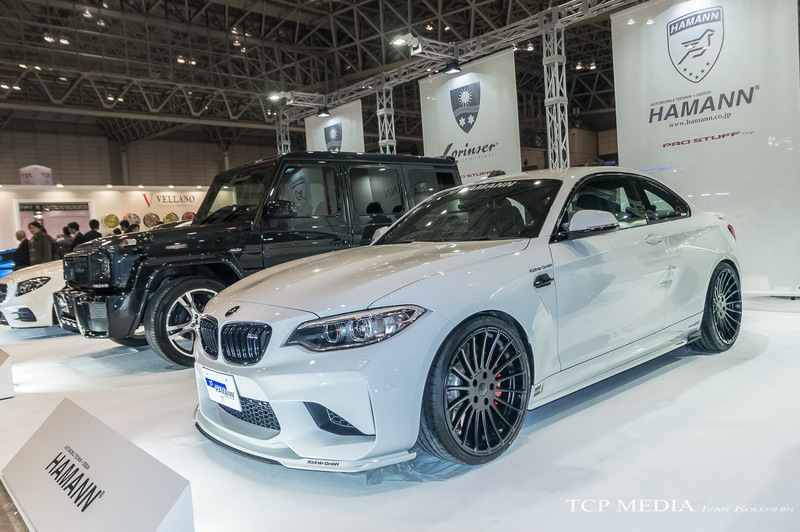 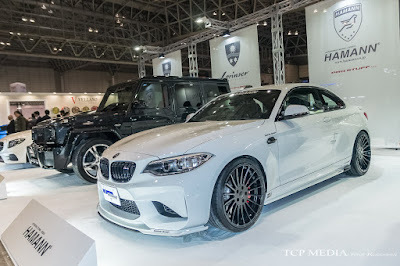 It was good to see luxury tuning brands like Hamann jump in the bandwagon of M2 customizing and presenting a smooth looking kit and Alpina-like wheels to complement the lines of the finished product. 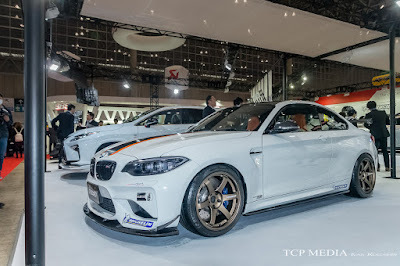 I guess I am stating the obvious, but the most popular kit was created by 3D Design, as seen here at M2 featured at Rays booth displaying beautiful TE37 finished in bronze and configured with track use in mind. After walking through the floor of Tokyo Auto Salon a few times and seeing pretty much all M2's it was evidently clear that the new platform is not only ultimate driver's machine, but also ultimate tuner's platform. 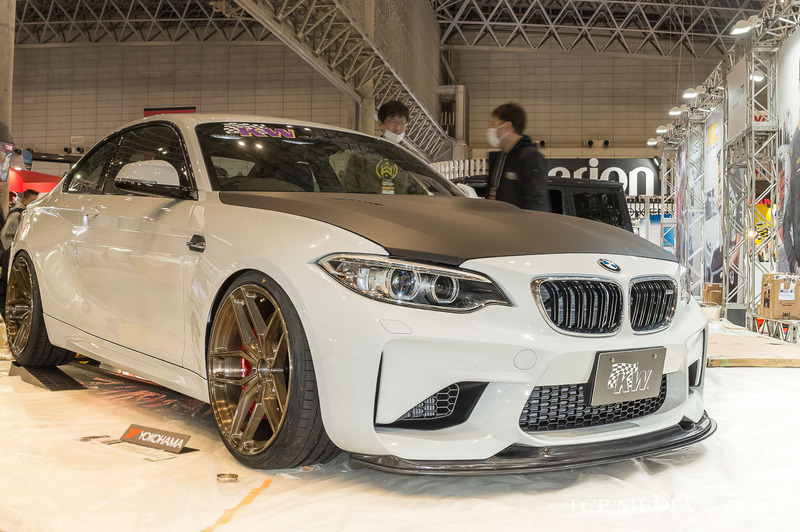 So there we have it, even without presence of BMW booth Tokyo Auto Salon 2017 delivered plenty of excitement for fans of the brand world wide. 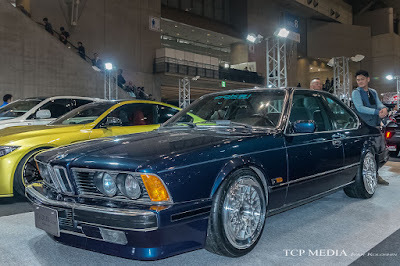 as well as older cars to please fans of all generations of the Bavarian brand.